Australian brush turkeys can be an annoying menace. They dig up garden beds, destroy vegetable patches, and spread leaves across footpaths and lawns. 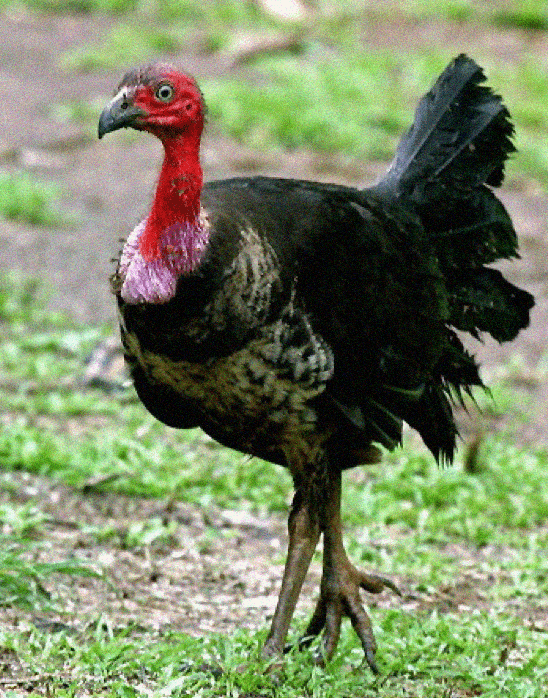 These troublesome turkeys are native to Australia however, and are a protected species. This means, often the only way to stop them tearing up your yard is to catch them and have them relocated. Due to humans encroaching on their habitat, their protected status and the fact they have few natural predators. Turkey populations are commonly seen in suburban areas of Australia, especially those on the fringes of forests and bush lands. As their numbers are increasing and they spread out in search of new territory to occupy, turkeys are becoming an increasingly common problem. One way to deter turkeys is to ensure there are no piles of exposed composting material in your yard. Piles of mulch and leaf litter are exactly what male turkeys want to build their nests from, so having composting material lying around in your garden is inviting them to make themselves at home there! Once they begin building a nest in your yard they can become very hard to deter, so it’s best you don’t give them a reason to start building there in the first place. If you do notice a male turkey has started to build a nest in your garden, the best way to keep him away is to lay chicken wire on the ground around the nest. This will make it difficult for him to continue building his mound. Another method is to fence off the whole nest completely so it becomes harder to access. This may prompt the turkey to move onto a more hospitable environment. However some turkeys can be stubborn and some may decide to persevere in making your backyard their home. Relocation is often the best long-term solution if you have an unwanted feathered friend residing in your yard. If you’re sick of cleaning up after your resident turkey, perhaps it’s time you considered trapping. Because brush turkeys can grow quite large, up to almost a meter long, a fairly large trap is required. Generally female turkeys will come to an area in search of a mate, so if the males in the area are trapped and relocated, the females will generally move on too. Turkey traps have a mirror in the back of them to attract the male turkeys. They see their reflection and believe it to be another male invading their territory. This draws them closer to defend their space, they go inside the trap where they trigger it shut and become trapped. Once they are trapped care needs to be taken to maintain their safety. From here they can be relocated to a more suitable habitat up to 25 kilometres away. If you live in the South-East Queensland region, give us a call. We service all of Brisbane and the Sunshine and Gold Coasts too! Our bird control technicians will quickly and safely catch and relocate your turkey for you, saving you the trouble. If you would like more information on brush turkeys removal and relocation call our helpful staff on 1300 442 978. Once a destructive, captured turkeys is relocated, we guarantee it will not return to your garden. Call 1300 767 786 (1300 POSSUM) now for help with Turkey Control!